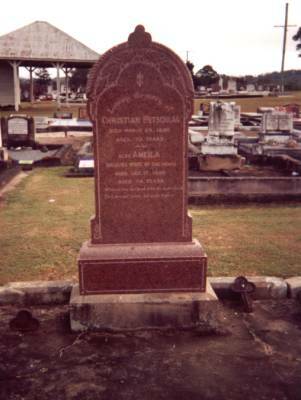 Many of the German settlers of the 1870s in the Marburg Valley of southern Queensland came from the villages of the Brandenburg area of East Prussia, so perhaps the arrival there of Emilie Retschlag and her husband Christian was not as friendless as a start in a remote land might have been for the young couple. A province of the Prussian Empire, Brandenburg in the 1800s covered 44 counties (Kreis) and stretched from the Elbe River to beyond the Oder River into modern Poland. 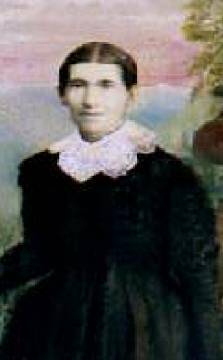 Emilie gave birth to at least 13 children, but only four of them were to grow to adulthood. 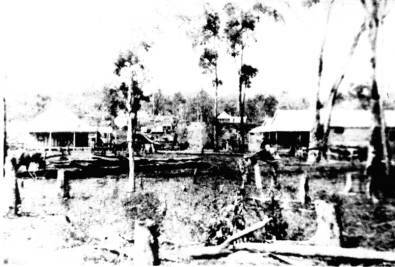 The birth of the raw pioneer township of Marburg, as Emilie and family would have found it in the 1870s. During these first years cooking was done on an open fireplace. 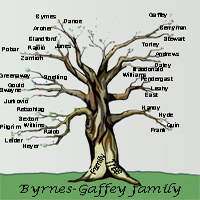 Two forked saplings were set into the ground, one each side of the fireplace, with a stout green sapling cross piece set high enough about the fire to prevent it catching on fire. Pieces of wire were attached to the sapling with hooks to hang bills and tins for boiling water and cooking meals. Iron bars placed on bricks used to hold cast iron saucepans, kettles and boilers over the fire. Camp ovens made of cast iron with cast iron lids, a hinged handle and short stout legs stood in the fire or hung by the handle on a steel hook attached to the sapling. Dampers served as bread. It was subsistence farming at its best – or worst. Poverty, even starvation, was never far away, particularly in the first few years after taking up a selection. Most settlers couldn’t have afforded the fare to Australia without the Government immigration scheme, and arrived with little or no money. When cash was needed the settlers carried their produce to Ipswich. Home- made butter was popular at 8 pence a pound, gooseberries 3 pence a pound…..
….For these original settlers life was extremely difficult and harsh… the hardships and tragedies endured in particular by the pioneer women and their children are reflected in the number of children’s graves which lie in the district’s cemeteries. Emilie died in December 1908, of cancer – she is buried in the Marburg Lutheran cemetery (right) alongside her husband, Christian, who died just a few months before her.